Trust The Experts At ADVANPRO For Your Furnace Installation | ADVANPRO Ltd. CORRECT FURNACE SIZING FOR YOUR HOME- GUARANTEED! After more than a decade of service to our community, we’ve streamlined an efficient process that makes furnace installation in Calgary less stressful. 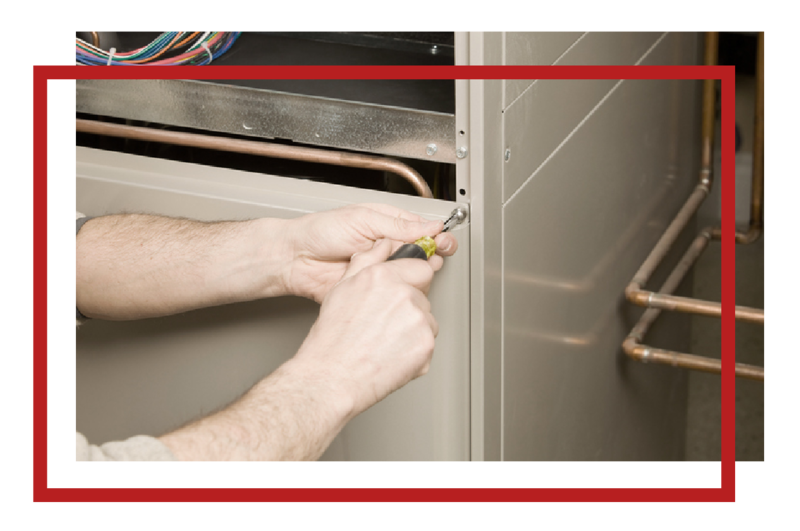 Our goal is to make the installation of your new furnace as simple and straight forward as possible. We’ll help you select the right furnace for your property and install it too, you won’t have to do a thing. Our team includes experienced and certified technicians with all the skills necessary to handle any installation like a hot water tank . While we’re at it, also consider taking advantage of our top notch duct cleaning and dryer vent cleaning packages. IF MY FURNACE IS OLD AND GIVING ME PROBLEMS, SHOULD I FIX IT OR REPLACE IT? Furnaces installed more than 10 years ago are less efficient than the newest high efficiency furnaces available today. The latest furnace technology delivers efficiencies as high as 98% as compared to older furnaces that are in the 60 – 80% efficient range. In cases where your furnace requires a major furnace repair, it sometimes makes sense to consider the savings of a high efficiency furnace. In order to ensure you’ve got all the information you need to make an educated decisions, ADVANPRO’s techs will provide repair options with quotes for a new furnace to ensure you can make a decision that is best for your unique circumstance. WHEN SHOULD I THINK ABOUT REPLACING MY FURNACE? If your furnace is having costly break downs, requires constant repairs or if your heating bills are higher than normal, these some indications that you may need of a new furnace. HOW OFTEN SHOULD I BE REPLACING MY FURNACE FILTER? You should change your standard 1” thick furnace filters every 3 months. With Our Total Care Furnace Tune up we will leave you with a 2 year supply of furnace filters so you’ve got everything you need keep your furnace operating optimally between ADVANPRO tune ups. WHAT ARE SOME SIGNS THAT MY FURNACE NEEDS TO BE REPLACED? Very little or no heat is being outputted. It’s our mission to ensure that no Calgarian is ever left out in the cold. We start by offering reliable furnace installation Calgary residents can trust, and then we maintain those systems over time with AdvanPro furnace cleaning and furnace tune up services. You can also count on us for prompt furnace repair at any time. We understand that breakdowns and inefficiencies don’t always happen at the most convenient times, so we happily respond around the clock, including weekends and holidays. This is the dedication that allows us to keep Calgary warm one home, apartment, condo and commercial building at a time.